Include deadlines for merit badges yet to be completed and consider how long each merit badge takes. Confirm what requirements need to be met. Discuss and have a conversation with the Eagle Coordinator about your possible project. Meet with the Eagle Coordinator to talk about working with your beneficiary (the group you are doing the project for). If there are any questions about the validity of the project, the Eagle Coordinator can reach out to the District Advancement Chair (moeadvancements@gmail.com). Fill in the Proposal section of the Project workbook including contact page. Meet with the potential Beneficiary to discuss the project including potential funding. Share the “Navigating the Eagle Scout Service Project” page with your potential beneficiary so they understand the expectations. Fill in the proposal as completely as possible with as many details as you have. Do research to complete costs, estimate times, etc. Use proper capitalization and punctuation throughout. Give a general timeline for completing the project , i.e. fall 2020. List all tools you will need however small, pencils, screwdrivers, etc. Permissions must come from the person at the Beneficiary who has permission to make decisions. For example, a teacher at a school cannot be the signer, the Superintendent must sign or must provide a letter designating another person who he/she is allowing to sign on his/her behalf. Clearly state how you will pay for the project: Beneficiary, fundraising, your Scout account, donations from family. Include a reference to the Guide to Safe Scouting in the safety section and a first aid kit. When you sign the bottom of the Proposal you are saying that you have read the ENTIRE workbook. Now is a great time to read it again! If your Proposal is complete and in need of no corrections, you can work on getting a signature from your Beneficiary. The Eagle Coordinator will schedule a time for the Scout to present their Proposal to the Troop Committee. At this presentation the Scout will give an overview of the project and how it will be funded. With the Committee’s Approval, the signatures of the Committee Chair and Unit Leader will be added to the Proposal. Send a digital copy of the complete Proposal, including the signature page to the Eagle Coordinator. The Eagle Coordinator will forward the Proposal to the District Advancement Committee. If your Proposal is deemed ready, you will be assigned a District Advancement Representative who will contact you directly. If your Proposal is deemed not ready, your Eagle Coordinator will contact you with necessary changes and you will need to re-submit the Proposal to the Eagle Coordinator when changes have been made. Your DAR will contact you about meeting in person. You may take a parent with you, but it is not necessary, all meetings will follow BSA two-deep leadership rules. Take a copy of your Proposal and paper and pencil to take notes. Dress in your Class A. Listen to the DAR’s suggestions and take notes. Come prepared with any questions that you have. Your DAR will sign your Proposal or will tell you revisions that need to be submitted for approval. Once the Proposal is signed by the DAR, you are free to move on in the process. Although your Proposal is detailed, your Final Plan should be a complete account of the project. Imagine that you will be absent on the day of the project and someone else will have to follow your plans. Be sure to fill in this section of the Workbook with these thoughts in mind. Although the Workbook is the required form, you may find it beneficial to make timeline or outlines separate from the Workbook. These will be submitted along with your Final Plan. Consider selecting a Project Coach. An official Project Coach is a registered BSA adult who can offer advice on your project or who is knowledgeable about your project’s main idea. This person should be listed on your Contact page at the front of the Workbook. An unofficial Project Coach is any adult who can offer advice on your project or who is knowledgeable about your project’s main idea. This person cannot be listed on your Contact page. Request feedback from parents and the Eagle Coordinator on your Final Plan. If you are doing Fundraising that falls outside of GTC’s scope of normal fundraising, complete the Fundraising Application and submit to DAR. Get necessary signatures on the Final Plan. Consider how Scouts of all ages can be involved. Take notes throughout the project or ask for a person to take notes that you dictate. Write the Project Report section of the Workbook. Check timeline for merit badges and completion of Eagle paperwork (all paperwork must be submitted by the 18th birthday). When all requirements are complete, Schedule Scoutmaster Conference. Prepare Eagle Rank Application (https://filestore.scouting.org/filestore/pdf/512-728_WB_Fillable.pdf). Get final signatures on completion of the project. Solicit 6 letters of recommendation using the attached form (https://docs.google.com/viewer?a=v&pid=sites&srcid=Z3RjYnNhLm9yZ3xndGN8Z3g6NmI2ZTRhN2Y2N2FmMzBiZg) and an envelope address to: Advancement Chair’s Name for Your Name Here, Advancement Chair’s Street Address, City, State and zip. The return address should be filled in by each person below. 2 other letters (adults or youth who can speak of your leadership and your ability to follow the Scout Oath and Law). Prepare a Statement of Ambition and life purpose. Prepare a listing of positions held in your religious institution, school, camp, community, or other organizations, during which you demonstrated leadership skills. Include honors and awards received during this service. Get signatures from Unit Leader and Committee Chair. Give Rank Application to Eagle Coordinator to have verified at Council. Eagle Coordinator will wait while Council verifies and signs Rank Application. If there any any discrepancies, Council will not sign the Application and those will have to be rectified before moving forward. 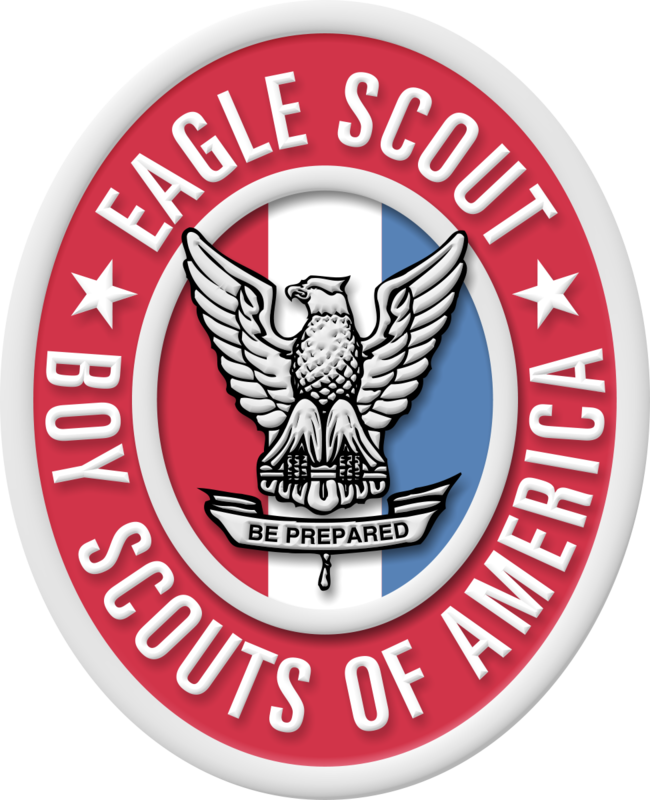 Eagle Coordinator will return scan signed Rank Application and forward to Moeadvancements@gmail.com, alerting them that the Scout is ready for the Board of Review. Eagle Coordinator will work with the Committee to gather 3 adults to represent the Troop at the BOR. The Scout may request specific adults be present. The Eagle Coordinator may ask if the Scoutmaster is allowed to be present for the purposes of introducing the Scout. The Scoutmaster may not participate as a voting member of the BOR. 72 hours prior to the BOR, the Eagle Coordinator should forward the Eagle Workbook, Statement of Ambition, Leadership Resume and Rank Application to the DAR. The Scout should prepare additional 3 copies of Workbook, Statement of Ambition and Leadership Resume for members of the BOR. Eagle Coordinator should arrive with copies for the BOR prior to the Scout’s arrival. The Eagle Coordinator follows the lead of the DAR during the BOR. The Eagle Coordinator delivers sealed letters of recommendation to the DAR upon their arrival at the BOR. The DAR will verify letters and share them with BOR members. In the event that a letter is missing, the Eagle Coordinator can reach out to the people on the Rank Application by phone for their verbal approval of the Scout. The members of the BOR review the project and prepare questions. Following the interview with the Scout, the Eagle Coordinator delivers the project binder with signatures, along with letters of recommendation to the Scout Shop. Scouts should wait for binder to be returned before planning Court of Honor.